René Hefti, M.D., graduated from the Medical School of Zurich University in 1987; completed residencies in internal medicine and cardiology in Switzerland, Austria and Jemen from 1988–1998; did an additional training in psychosomatic medicine and existential psychotherapy from 1994–2002; and was the Head of the Psychosomatic Department of the Clinic SGM Langenthal, Switzerland, from 2006–2016. 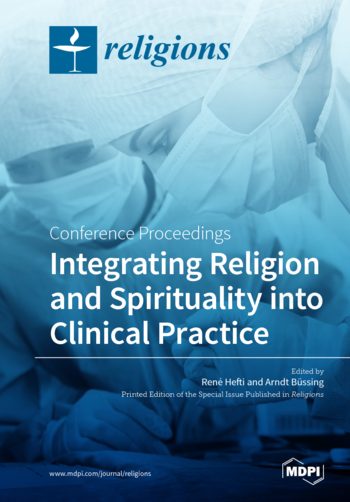 In 2005, Dr. Hefti founded the Research Institute for Spirituality and Health (www.rish.ch) and initiated the European Conferences on Religion, Spirituality and Health (www.ecrsh.eu). His research interests include religion as a stress buffering “agent”, the integration of spirituality into an extended bio–psycho–social model and the impact of physician’s beliefs on medical practice. Since 2006, Dr. Hefti has been a lecturer for psychosocial medicine at the University of Bern, Switzerland, also teaching clinical skills and the integration of spirituality into clinical practice (e.g., keeping a spiritual history).